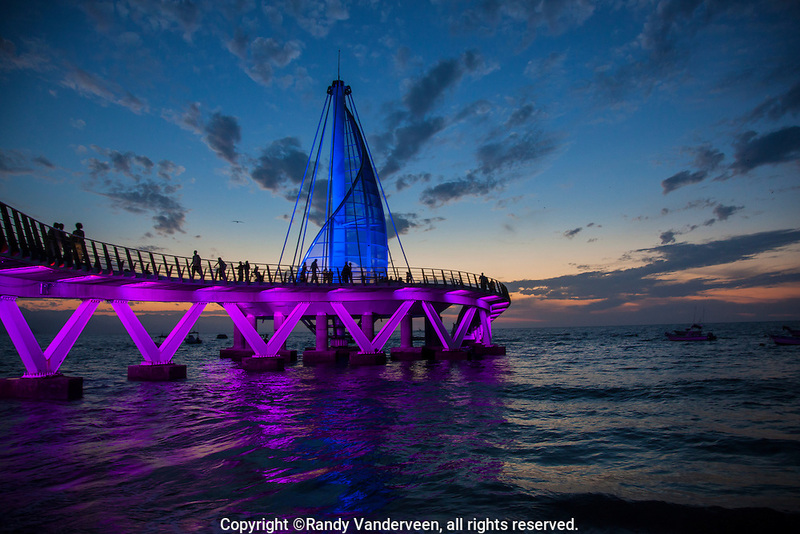 Photo Randy Vanderveen.Puerto Vallarta, Jalisco, Mexico.13-02-01.Los Muertos Pier in Puerto Vallarta against the sunset. The pier re-opened January 2013 after three years. ©Randy Vanderveen, all rights reserved.